hebrew — Bar Mitzvah Invitations & Bat Mitzvah Invitations by Sarah Schwartz Co.
WE CAN ADD YOUR CHILD'S HEBREW NAME, TORAH PORTION OR MITZVAH DATE TO ANY INVITE FOR FREE! 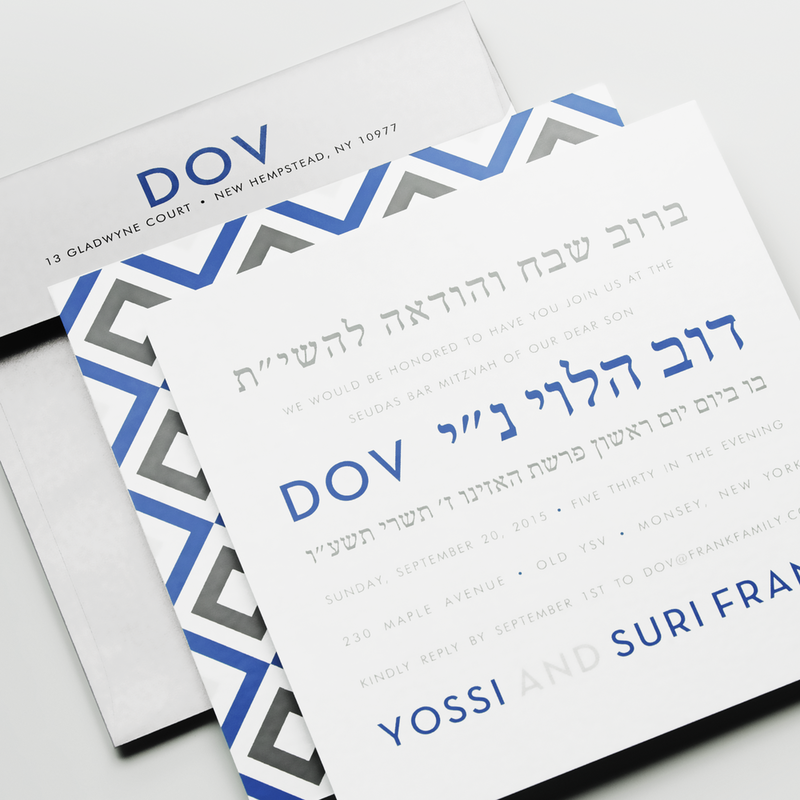 WE'LL EVEN CREATE YOUR ENTIRE INVITATION IN HEBREW...SIMPLY CALL TO BEGIN AT 844.44.MAZEL!! !